We specialise in restaurant logo design and hotel logo design. Whether you need a completely new logo designed or whether you just need it refreshed, we can provide a seamless service in optimising your most recognisable feature. When Smart designs or refreshes your restaurant logo design or hotel logo design, you can print it on anything from a pen to the side of a skyscraper and it will always look incredible. You might find yourself inheriting an outdated logo when taking over a restaurant. We are able to take that logo and turn it into something more contemporary whilst still keeping the heart of the design. For those venues that are looking to clean up their look and update their logo design. Having worked on a vast amount restaurant logo design and hotel logo design projects, we have found that this is a service that is extremely valuable to our clients. by offering a streamlined and transparent service as a means to either vectorise their current logo or completely contemporise their logo. We can redraw your logo from any file - even a picture of it on a t-shirt or a sign! This will allow you to print your logo on anything, no matter how big or small. Your brand will look a lot more professional too. As experts in hospitality logo design, we can bring an outdated logo to life. This requires knowledge of the industry that not many other graphic design companies possess. If you're just starting out, then not only can we offer you a full suite of graphic design services but we can create you a completely new logo. 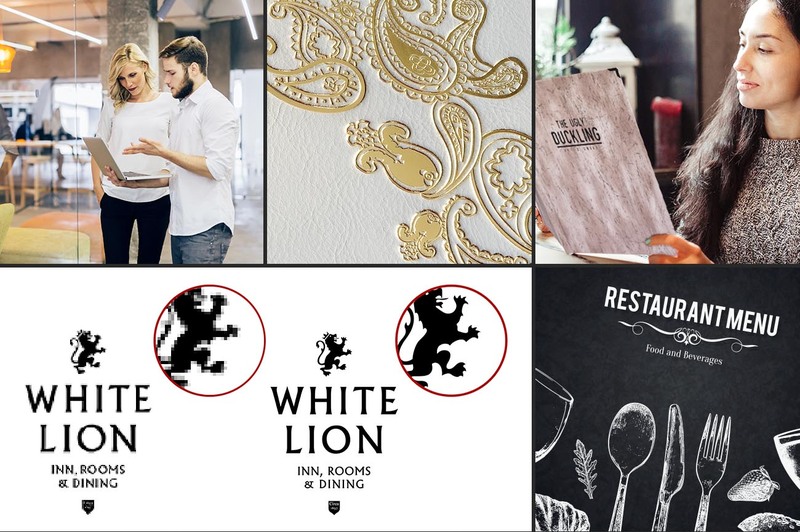 Whether you are looking for a restaurant logo design that shows your unique selling point, or a hotel logo design that incorporates elements of the hotel's building, we can work with you to achieve your goal.